Once you’re organized, you can see the forest and the trees. I made it to organized. Now I want to help you get there, too. Hi! 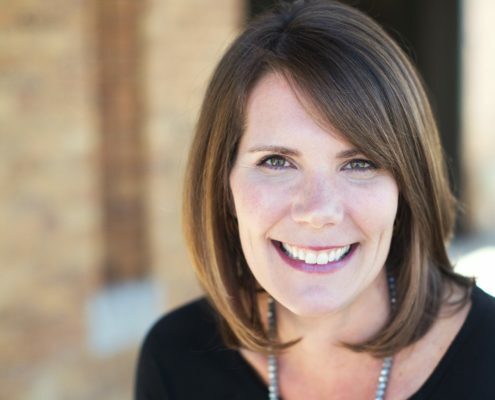 I’m Amanda Rickers, professional organizer and founder of Everyone Organized. 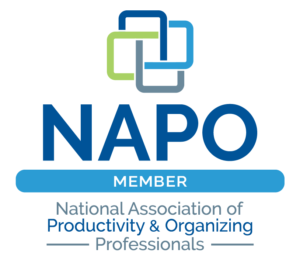 I help people in and around the St. Louis metropolitan area overcome their organization challenges. I’m here to tell you that you can get organized, stay organized and live stress- and worry-free, knowing that you’ve got your life and your family’s lives handled. No more wasting time hunting for lost keys or misplaced papers. No more missing appointments or feeling frazzled and overwhelmed. No more feeling like chaos is in charge instead of you. I know what you’re struggling with. I lived it (and still do)! Just like you, I know how busy and hectic the day is when you’re juggling competing priorities and multiple schedules, trying to keep track of where things are and make sure everyone has what they need. And I was right. When I got organized and helped my family get organized, it changed our lives. There is a better way. You just have to decide you’re worth it (and maybe hire some help). When I finally figured out how to get everything moving in the right direction in a way that was simple and sustainable, I found time to breathe again. When I did, I realized I was not alone even though it definitely seemed like it at the time; there were many people struggling to stay afloat just like I had. I knew right away that I wanted to help; I had conquered the chaos and the clutter and I wanted to help others do the same. 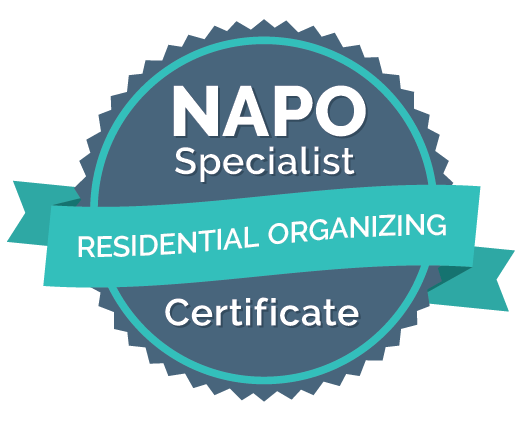 So I became a St. Louis professional organizer and founded Everyone Organized. Few of us are fortunate enough to be born organized– I know I certainly wasn’t! Luckily for the rest of us, being organized is a learned skill— I am living proof of that. With time, effort, dedication (and yes, a little desperation), I learned how to get and stay organized. Now I want to help you achieve a calmer, happier life, too. No matter how disorganized and chaotic your life is today, there is a better life waiting for you. You can overcome this and find a positive plateau where you can relax, breathe and spend more time enjoying life, instead of feeling anxious about what the next missed deadline or lost item will be. I am here to help and support you without judgment– all you have to do is ask. Whenever you’re ready to start your journey, I am here to be your coach, mentor, cheerleader and hands-on organizer. I will guide you, provide nonjudgmental support and encouragement, and help you create a system that will work for you. Along the way, I will share with you every tip I have learned over many years to help you get to that better place as soon as possible. If you’re ready to breathe again, reclaim your serenity and rediscover time for the things that truly matter in life, please contact me. I would love to learn more about you and how I can help. I’m here and ready right now to help you and share all of my resources with you. I’m a native New Yorker and a graduate of the University of Virgina, where I played varsity lacrosse (Go Hoos!). I was a principal partner of an institutional brokerage firm on Wall Street for several years. After relocating to Connecticut with my husband, I switched gears and became a relocation specialist/real estate agent, which was my focus for over 10 years. I have three school-age children all of whom suffer from allergies (food, environmental and seasonal), some of which are life-threatening if not managed properly. I now have over 15 years of experience shopping for and preparing allergy-free nutritious meals that my family can safely enjoy. Because I know firsthand what a huge impact allergies can have on your life, I can be a great resource for you on how to deal with this challenging problem. I hold Certificates of Study in Chronic Disorganization and Basic ADD Issues with the CD Client from the Institute for Challenging Disorganization. © Copyright 2015 - Everyone Organized, LLC. All Rights Reserved.